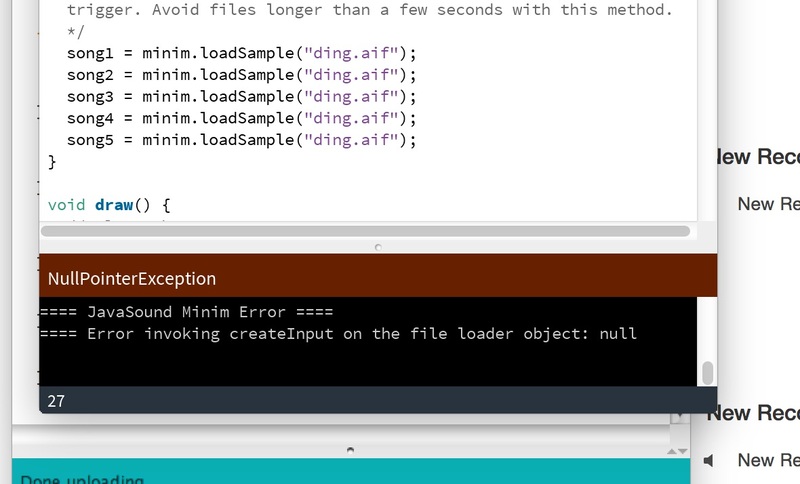 Arduino, Arduino, I Hate You. You Stink. …I wish I could flush you down the sink. I’m going to be honest. Technology scares me. The thought of having to do anything remotely high tech paralyzes me. Even using the laser cutter to cut cardboard took encouragement from my peers. But it’s an inevitable truth of my new profession that I will one day need to admit defeat and learn how to CAD, program and wire. In an attempts to mitigate this fear, I signed up for a course entitled “Interactive Products.” In this course we would learn about integrating technology, inputs and outputs into designs. The first part of the semester was doable, filled with Little Bits and Lego Mindstorms. I was on a high. I can do this! But then the day came. 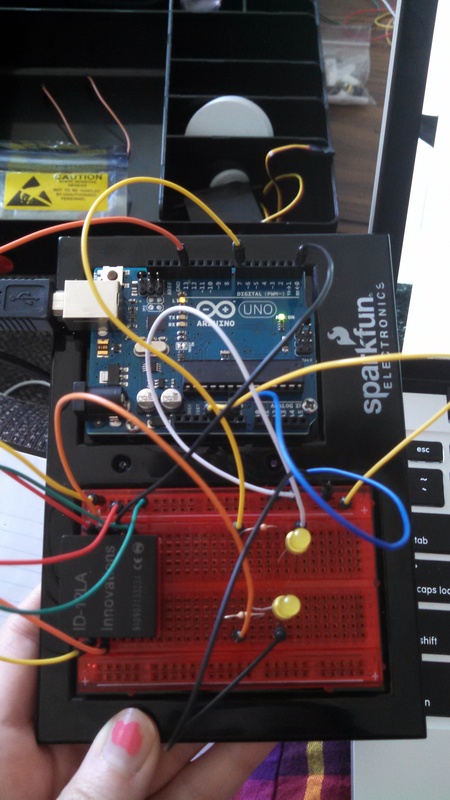 This week, we began the Arduino project. Suddenly I was confronted with wires, and sensors, and coding, and programming, and inputs, and outputs, and lions, and tigers, and bears…oh my! In less that a week, I was supposed to design a toy or game that had two inputs (including and RFID) as well as 2 outputs that included an audio/visual output. I sat in class staring at the bread board for over an hour, my professor and TA preoccupied with other students. It seemed like everyone around me knew exactly what they were doing and that I was being left in the dust. But I remained strong! On Saturday, I enlisted my roommate who is getting her masters in electrical engineering. There were hickups, and mishaps, buy things were chugging along. We had this in the bag! No sweat! That is…until we got the evil Java error message. Well, over the next 3.5 hours I consulted my roommate, my classmate who is an Arduino god, my TA, and just about every other person I knew who had any knowledge of Arduino. Nothing. I took a break for a few hours, and revisited it later in the evening. Nothing. I even consulted my roommate getting her masters in Aerospace Engineering, as had the Arduino God take control of my computer remotely to figure it out. at it was not compatible with the processing software used with Arduino. So much for a new computer! But, it was OK. I still had my old Mac. I could just download it there. Turns out my old mac is too old. It was a case of Goldilocks and the 2 Macs. I then proceeded to try and download Windows onto my Mac only to find that I didn’t have a properly sized USB, and that I would need to…oh yeah…buy Windows. So, I guess that’s not an option. And this brings me to today. With the assignment due Tuesday, and no progress made, I ask you to excuse me while I go turn into a ball of mush in the corner of my apartment while eating a pint of Ben and Jerry’s and watching Notting Hill. Say a prayer for me, good friends, and send me any good Karma you can spare. Good luck, my brave Arduino warriors.